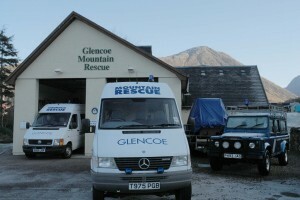 Glencoe Mountain Rescue Team has provided a voluntary search and rescue emergency service since 1961. 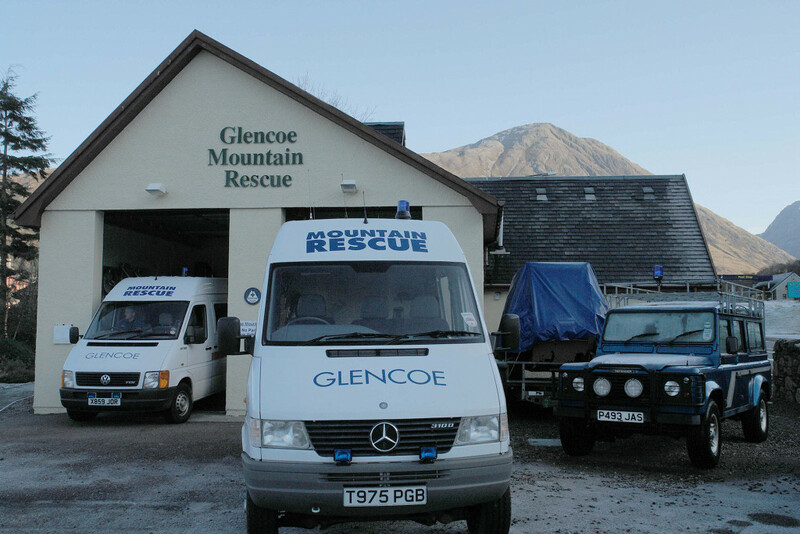 Operating from the rescue centre in Glencoe village, Glencoe is one of the busiest and the longest established mountain rescue teams in Scotland. With typically 60-70 call-outs every year, the team covers a wide geographical area from Rannoch Moor, to the Etive hills, to the Mamores and over into Morven and Ardnamurchan. 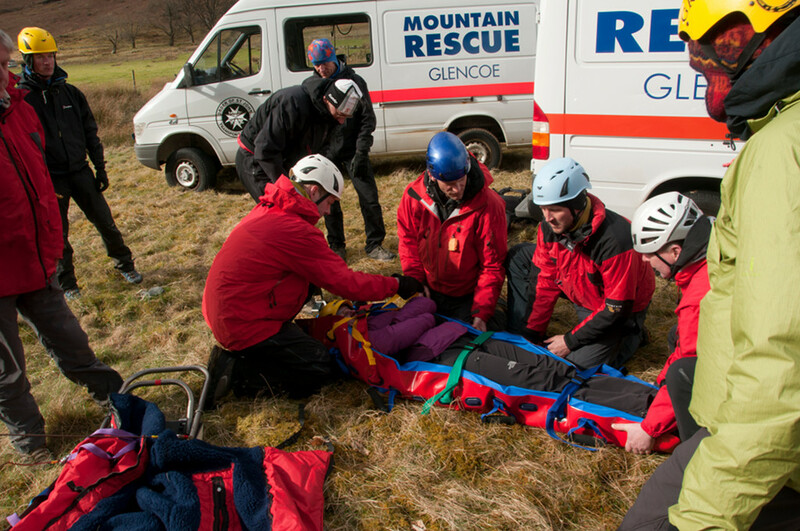 Glencoe MRT is made up of dedicated and highly experienced but unpaid volunteers who operate 24 hours per day, 365 days per year, in what are at times extremely harsh and unforgiving conditions. All members are experienced mountaineers with vast amounts of local knowledge. Mountain Rescue teams act under the authority of the Police. As such the team’s primary role is search and rescue within the mountains, but we may also assist the police in missing person searches and rescues in other types of challenging terrain, i.e. 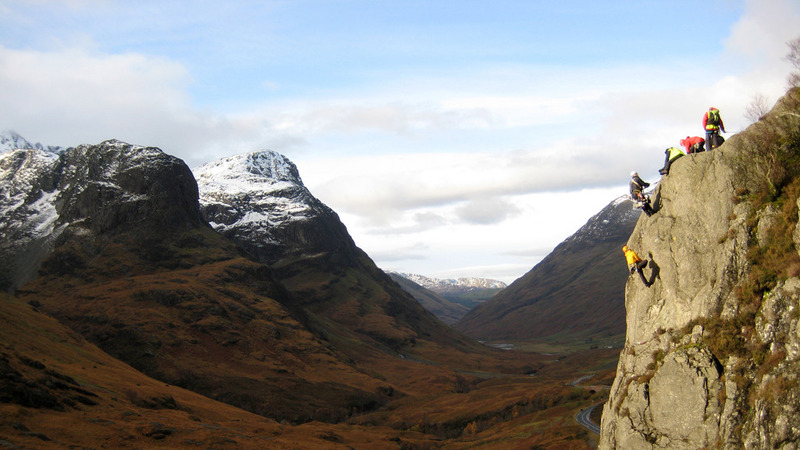 steep ground, rivers, lochs and caves. We receive limited financial support from Police Scotland and the Scottish Government but could not provide our services without generous public donations. Please note: We are a rescue organisation and have no involvement with mountain safety. Please do not ask for advice, avalanche reports, weather and climbing condition – other agencies provide these services. We do not provide safety cover for organised events.